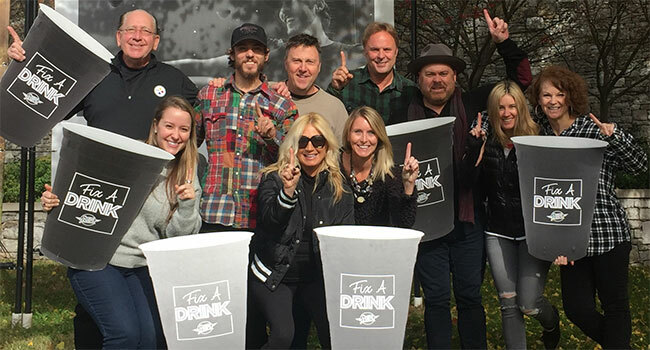 Grab the closest cup of Mountain Dew — Chris Janson’s beverage of choice — for a toast to the Warner Bros./Warner Music Nashville recording artist on his second career No. 1 single “Fix A Drink.” Janson takes the “clever kiss-off to the troubles and tribulations of everyday life” (The Tennessean) to the top of the Country Aircheck / Mediabase chart this week. Declared early on as “tailor-made to be a summer anthem…” (Rolling Stone), the laid-back tune boasts over 20 million on-demand streams. The singer / songwriter’s major label debut single “Buy Me A Boat” peaked at No. 1 in 2015 on the Country Aircheck / Mediabase chart and has earned RIAA Platinum certification for selling over one million copies. Janson has since become a staple in Music City and beyond. He has made television appearances from The Tonight Show Starring Jimmy Fallon and TODAY to Live with Kelly & Ryan, embarked upon nationwide tours with country music superstars including Blake Shelton, Luke Bryan and Sam Hunt and played the Grand Ole Opry stage more than 150 times to date. Most recently he released his sophomore album Everybody – 12 brand new tracks, including “Fix A Drink,” all co-written by Janson himself. The breakout star will continue to play shows across the nation through the beginning of next year, including his first headlining performance at Nashville’s own Ryman Auditorium in February (see full dates below).